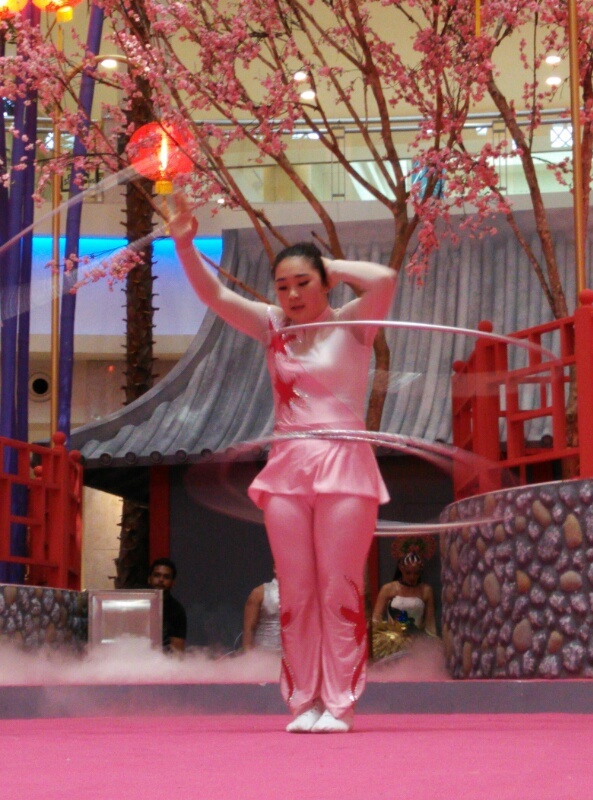 We brought her to the Curve and she was amazed. She had seldom or never been here before? I think I did bring her here once or twice.. but I am not sure.. My mother lives with her boyfriend in Klang and sometimes she goes back to her aunties place in Bukit Mertajam...but anyhow she was definitely awestruck with the exquisite décor there.. 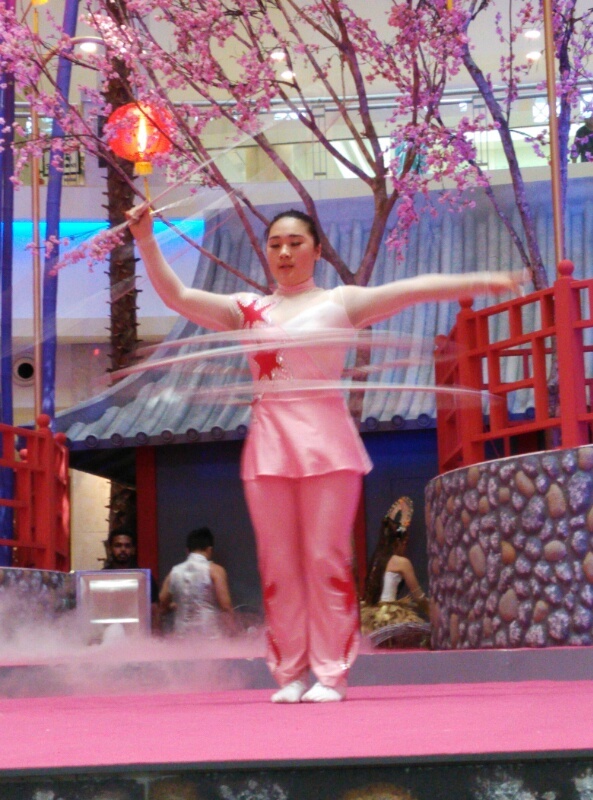 The next performance would be the acrobats with the spinning plates...It is just amazing how they can spin their plates without breaking into a sweat..
Then there was a Chinese songstress... who sang a Chinese song.. do not ask me what song it is as I really cannot tell you or understand any of it... but it also introduced this lovely girl who came out in a golden cloak..
My mother was awestruck for certain, and I really cannot believe she had not seen these kind of performance before... 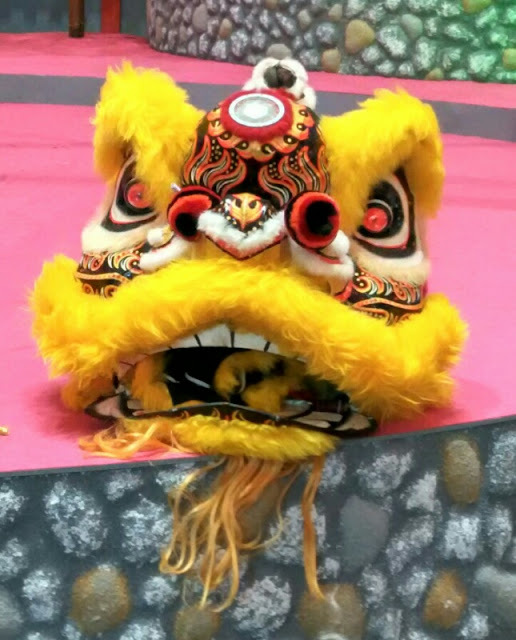 Huh!! 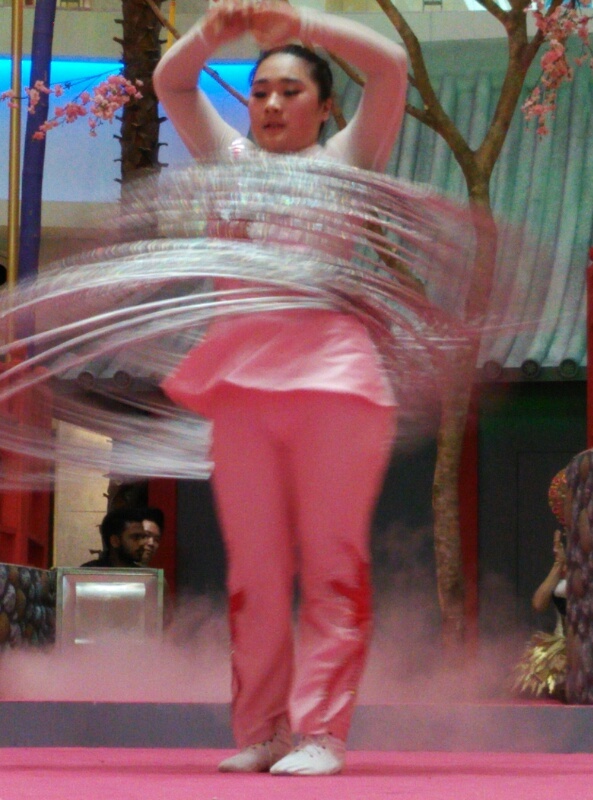 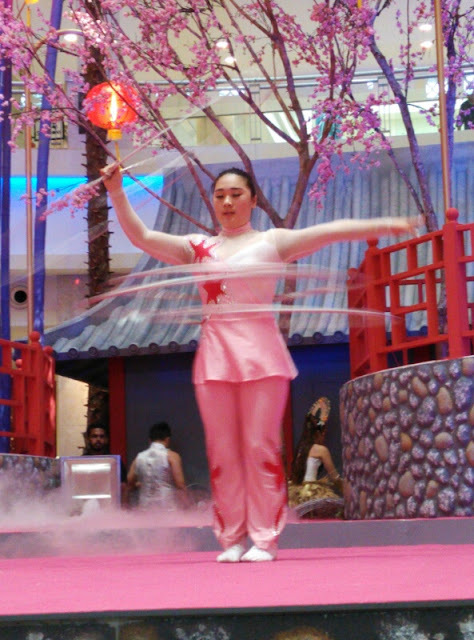 A short while later, the hula hoop girl came out... and she was the talented spinning plate girl I think??!! Anyone of you here can do these all??????!!! 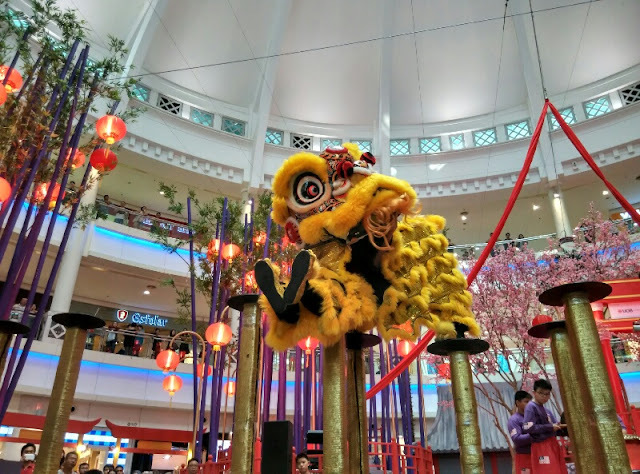 And that was the end of the Stars of the Orient : An Acrobatic Spectacle performance...So to everyone in KL and Selangor, and those visiting...between 9th January to 9th February, do NOT miss out on this show.. it may be free but it is amazing..... 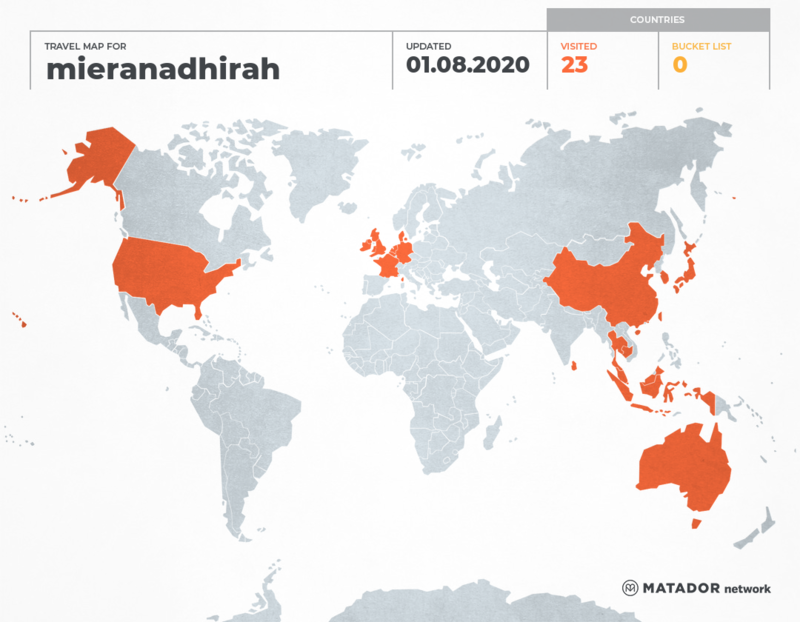 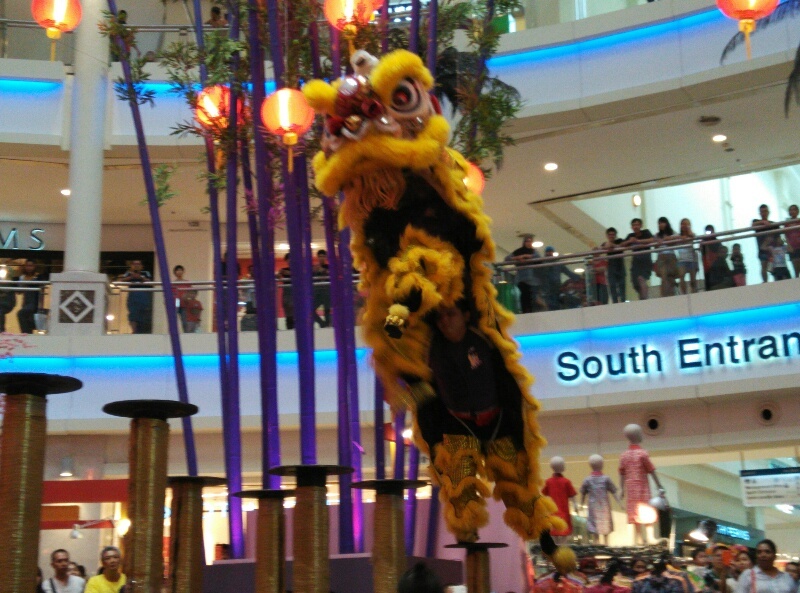 I won't mind paying to watch this as it is so thrilling and mesmerizing!!! 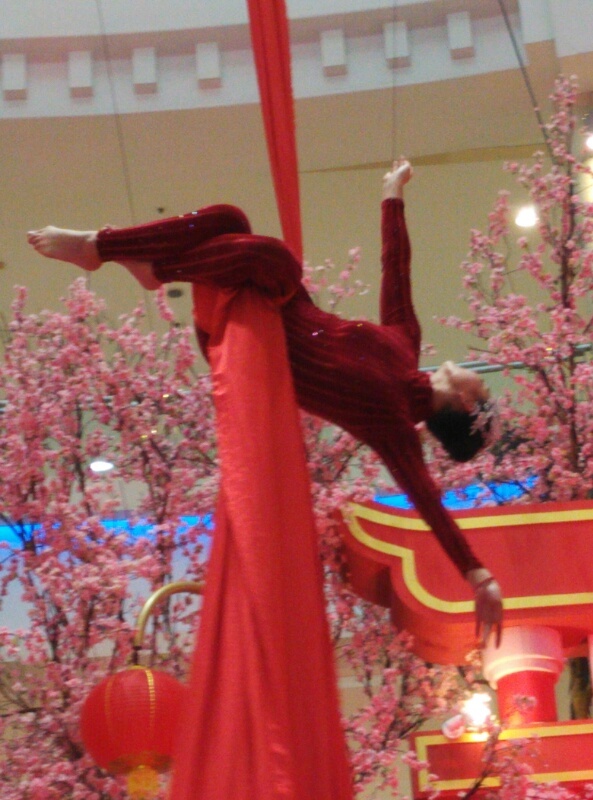 Very interesting.. 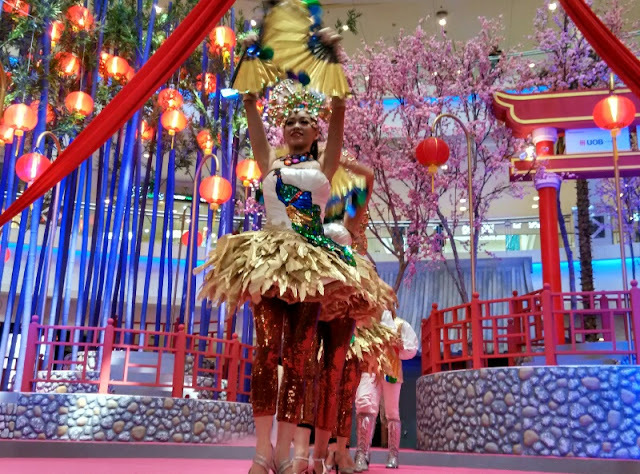 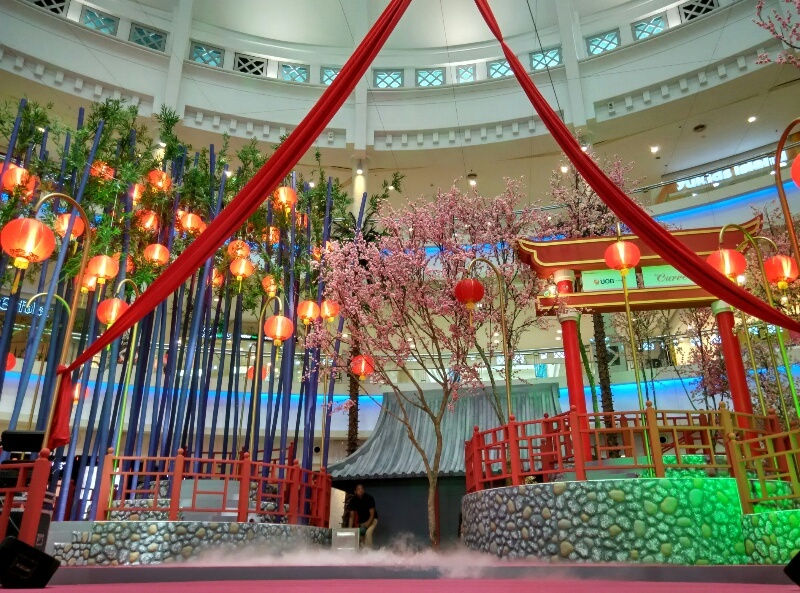 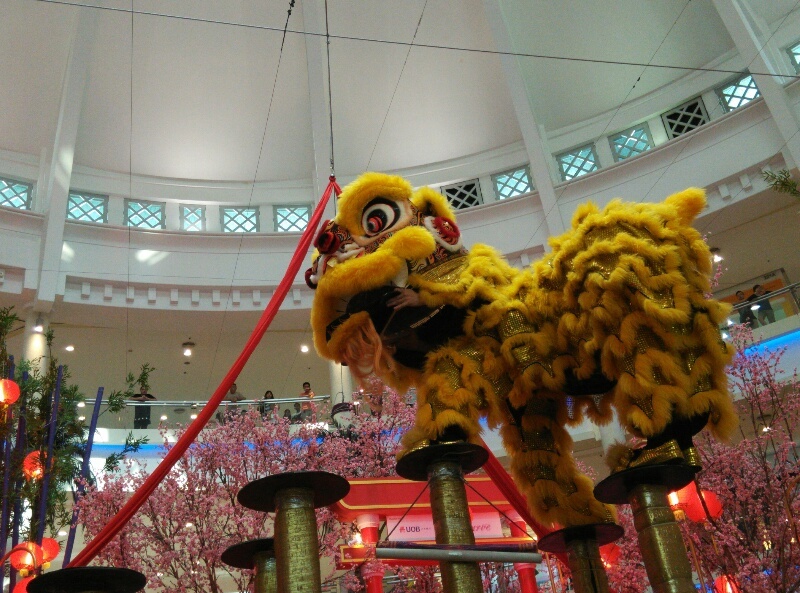 Looking at the displays and costume colors, it's hitting me that CNY is just around the corner. 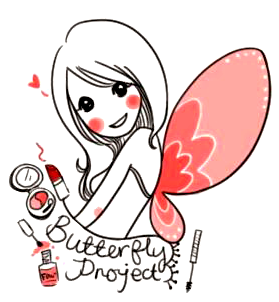 Time flies.. 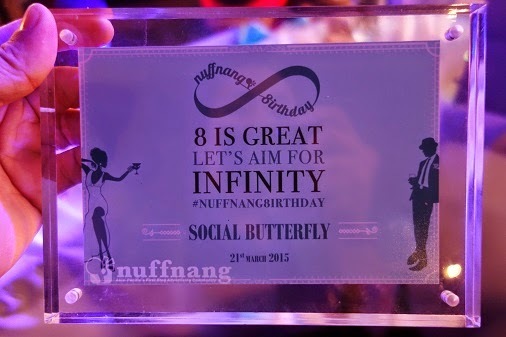 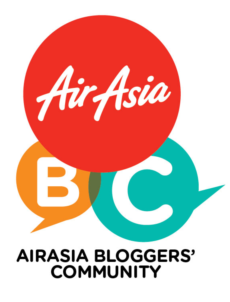 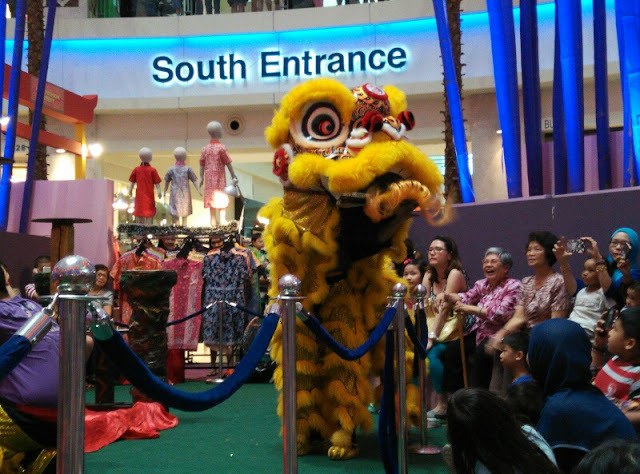 Interesting event! 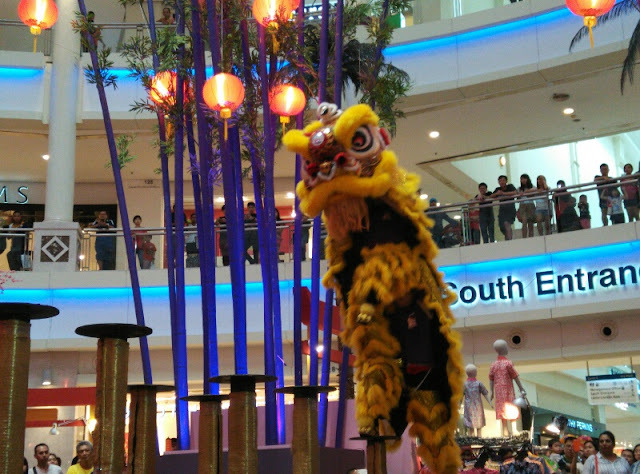 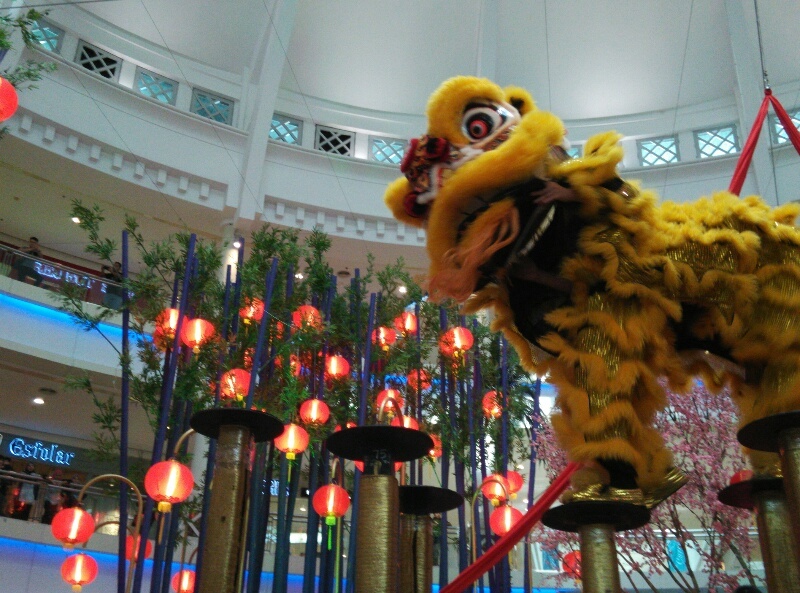 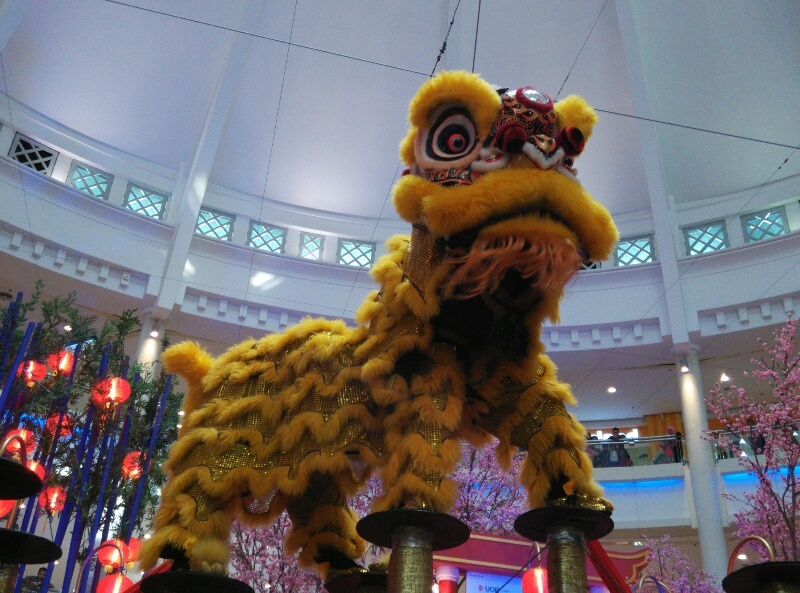 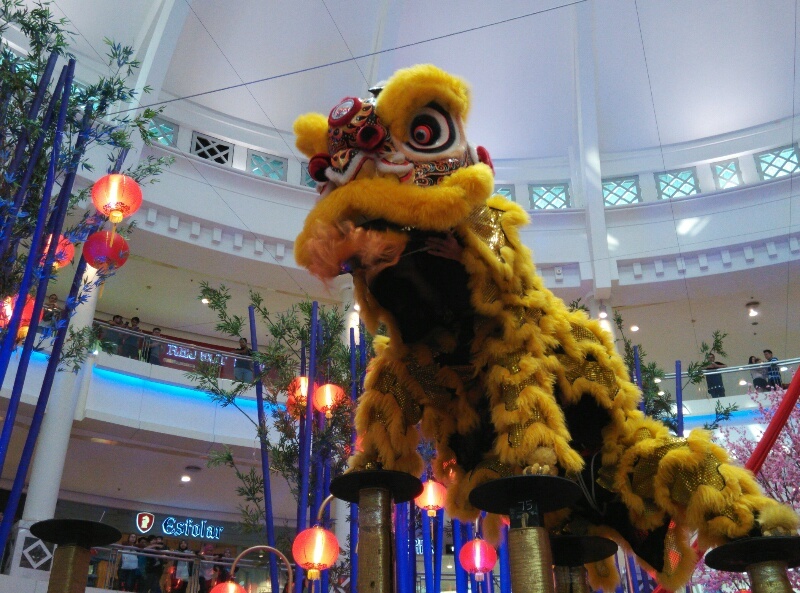 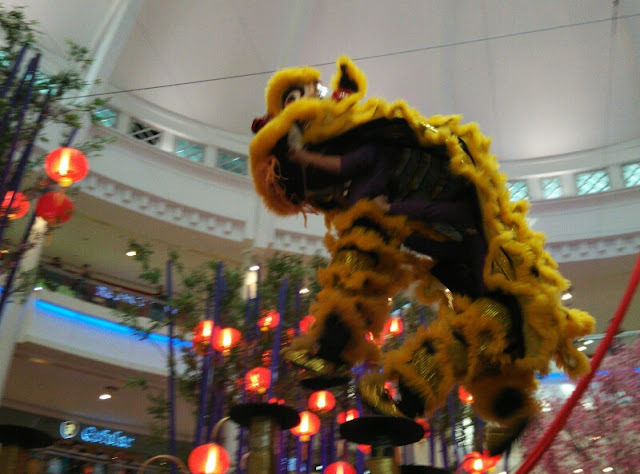 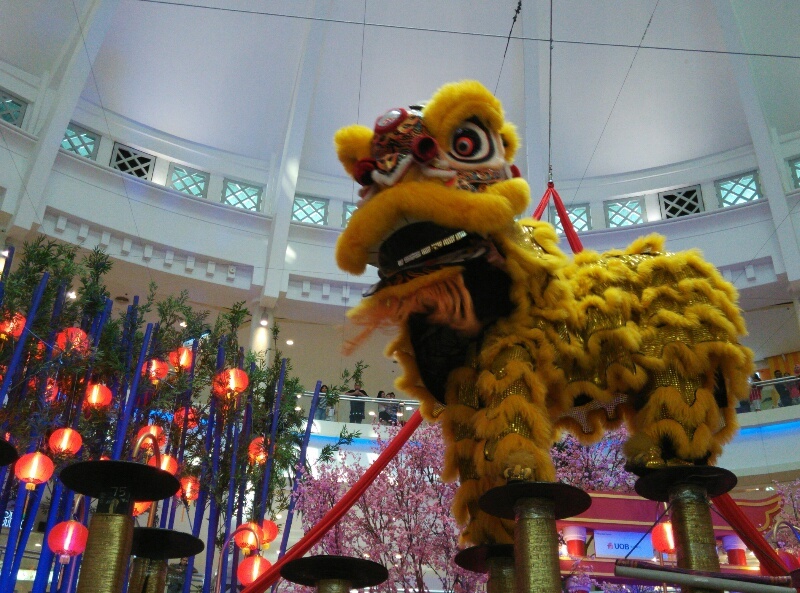 Love lion dance! 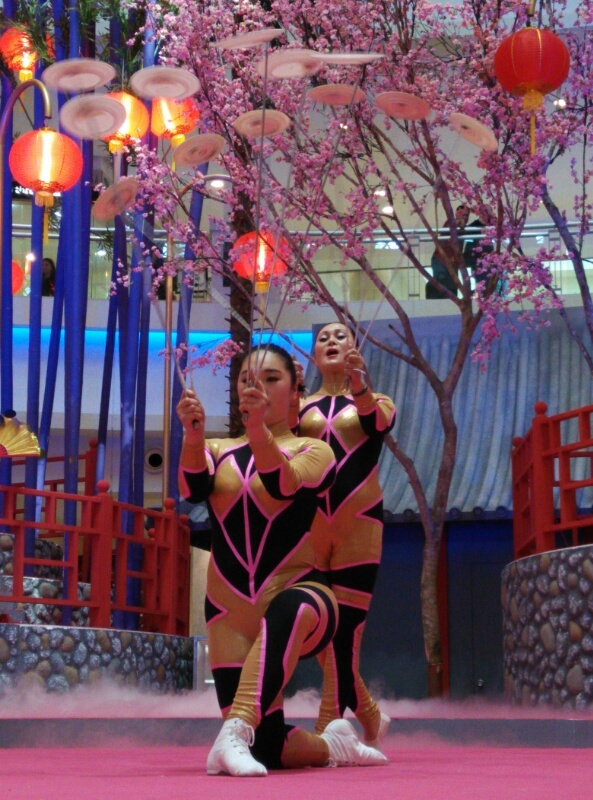 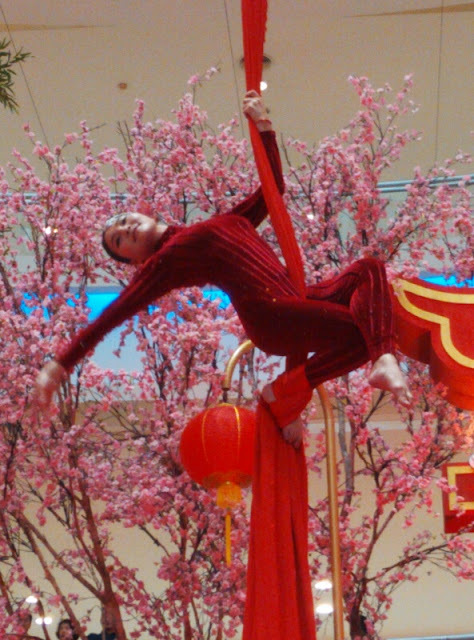 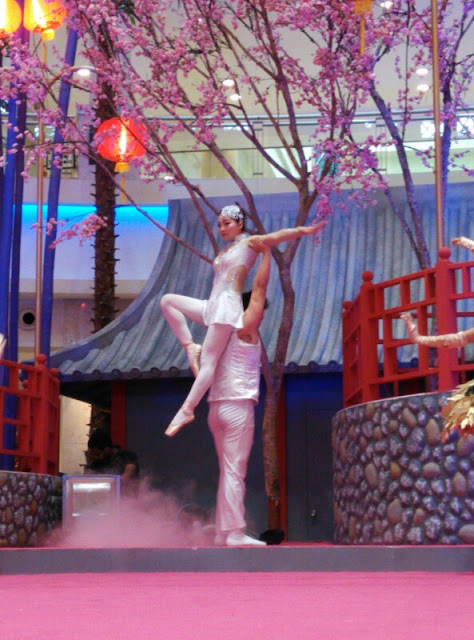 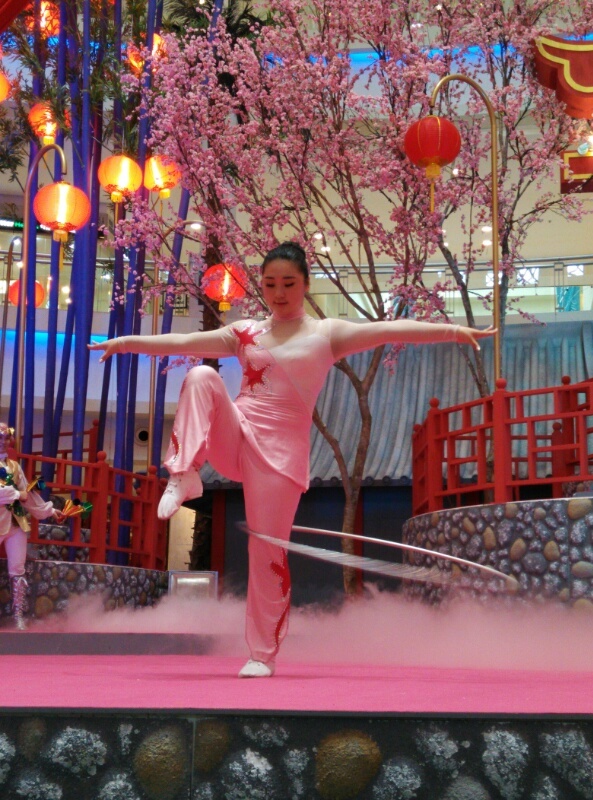 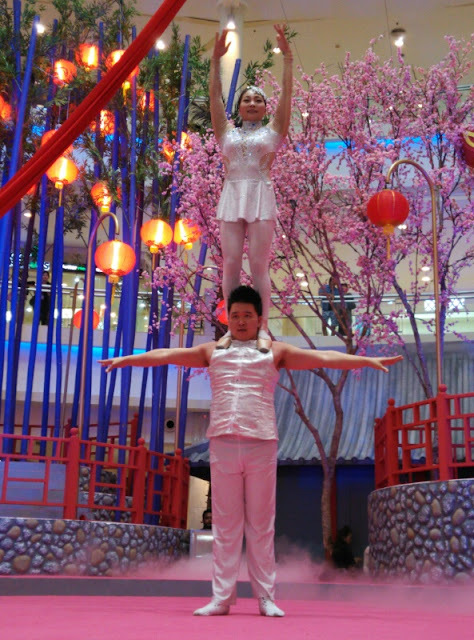 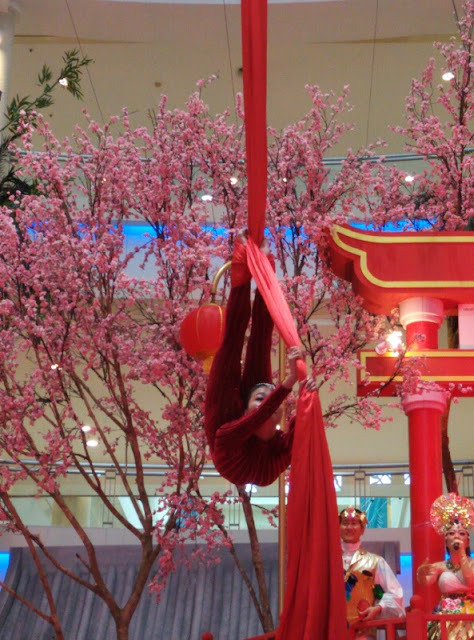 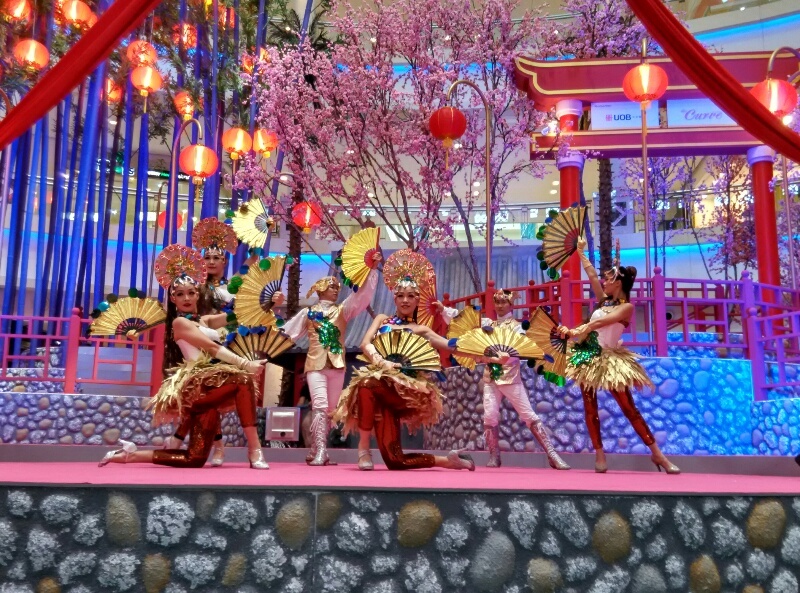 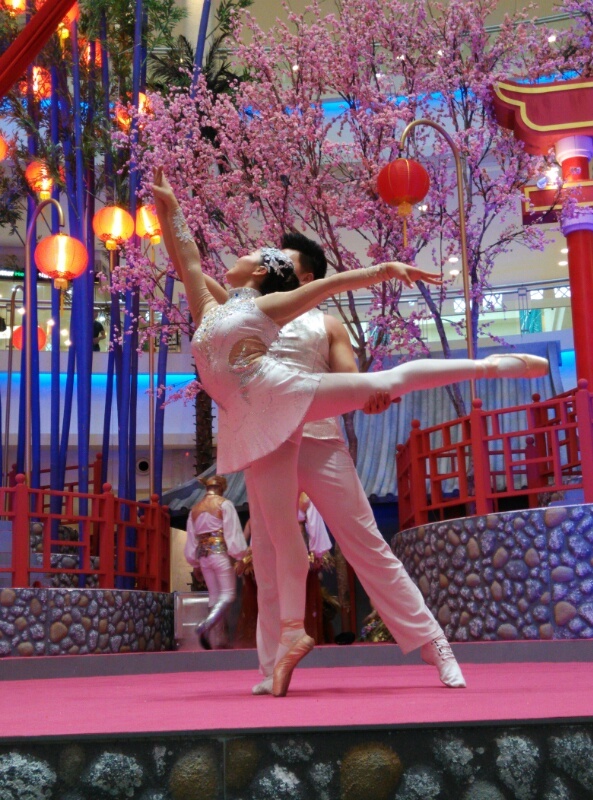 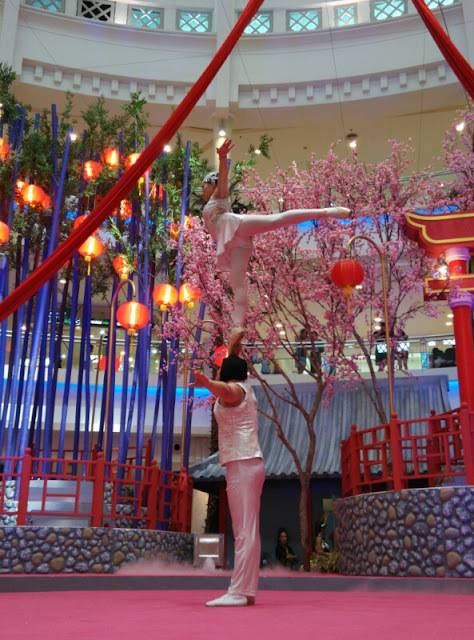 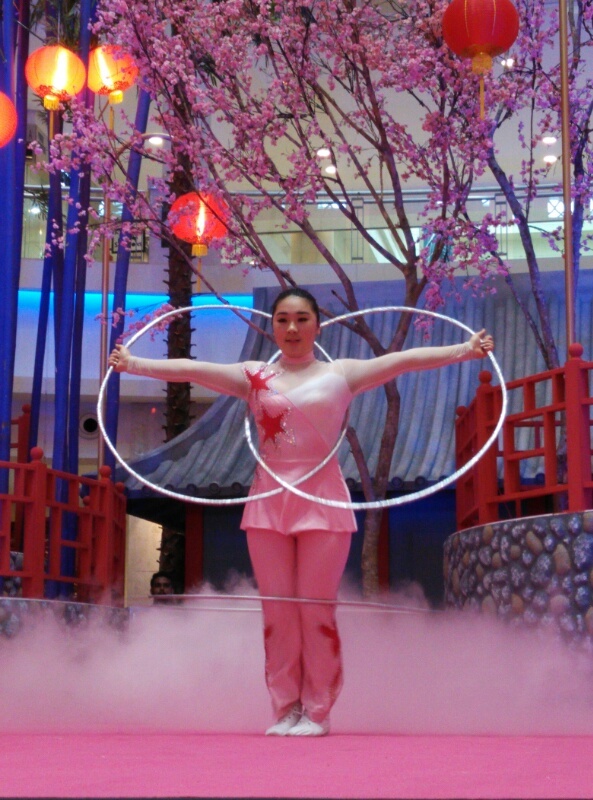 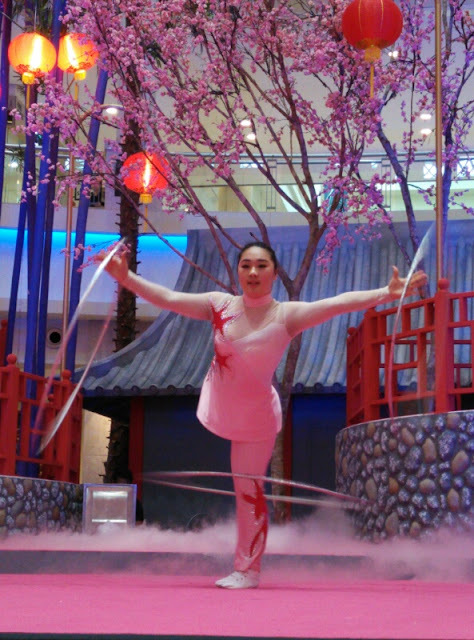 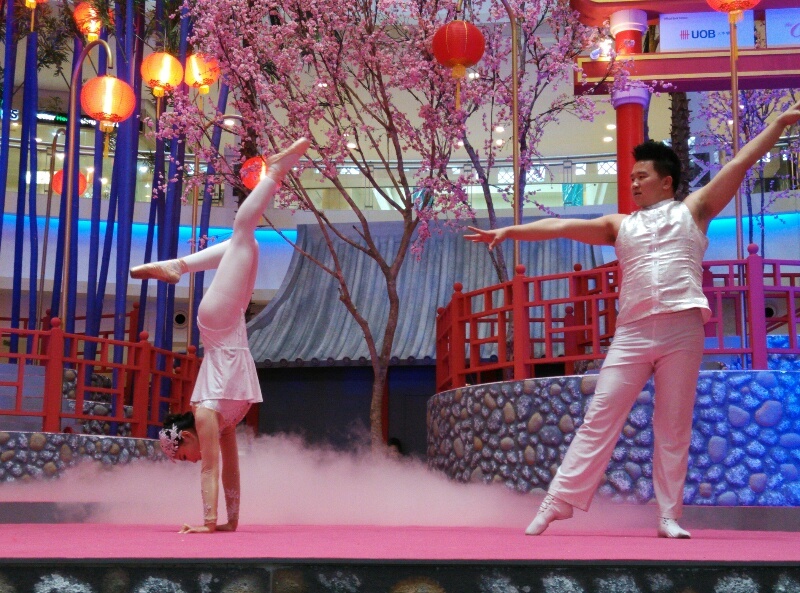 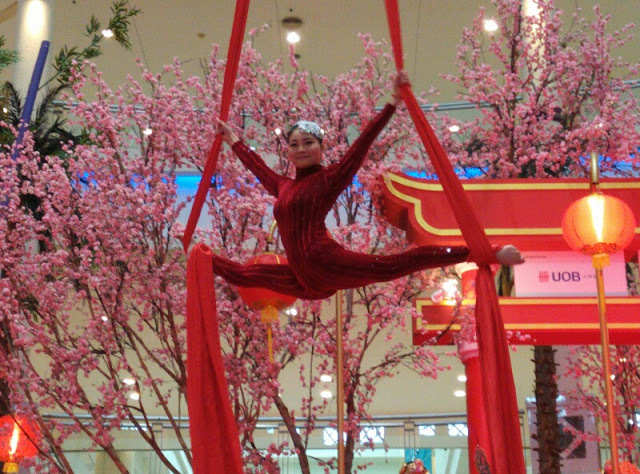 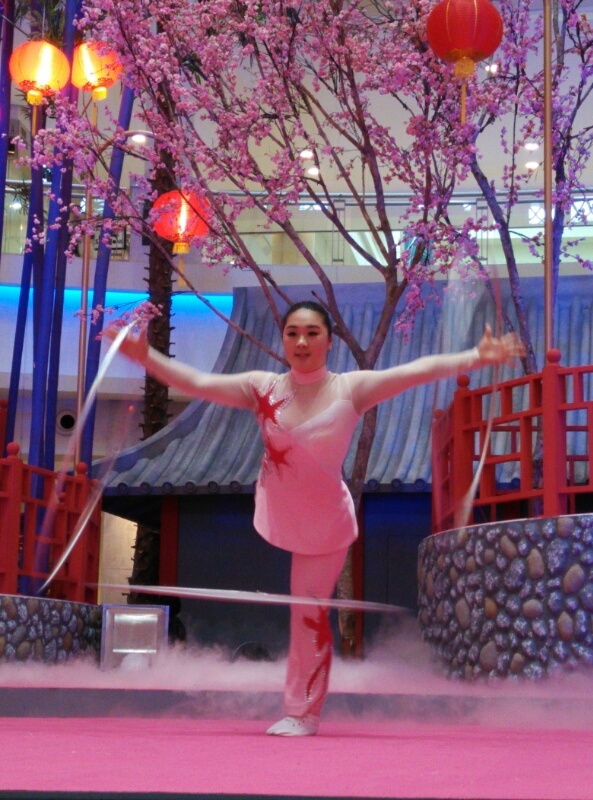 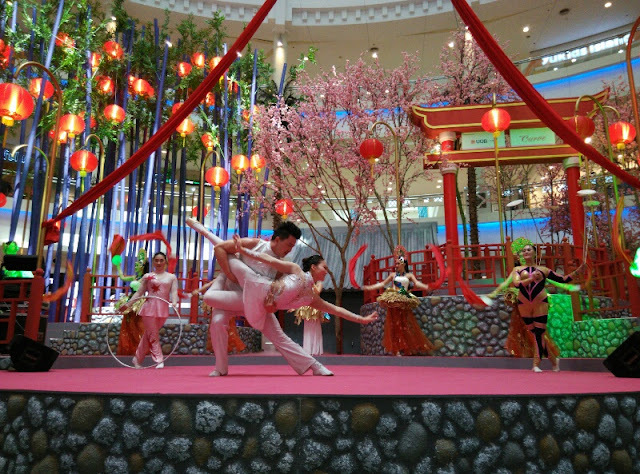 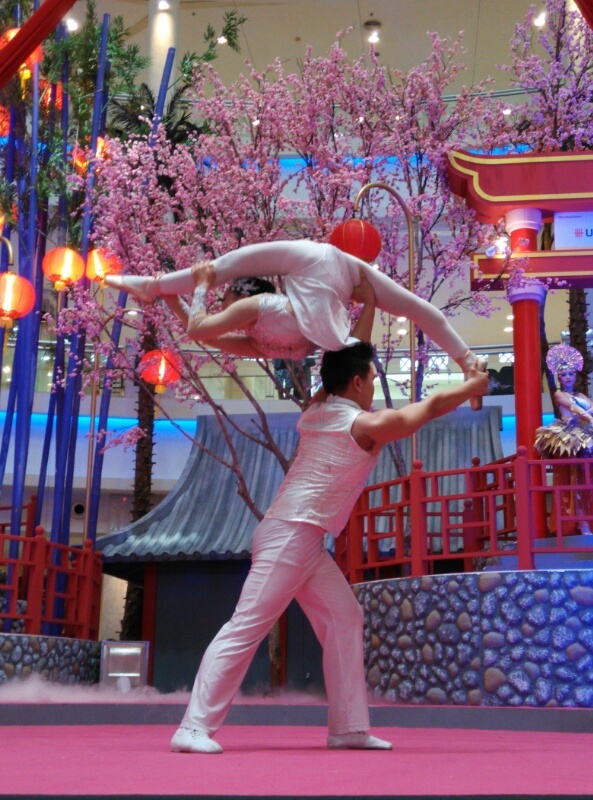 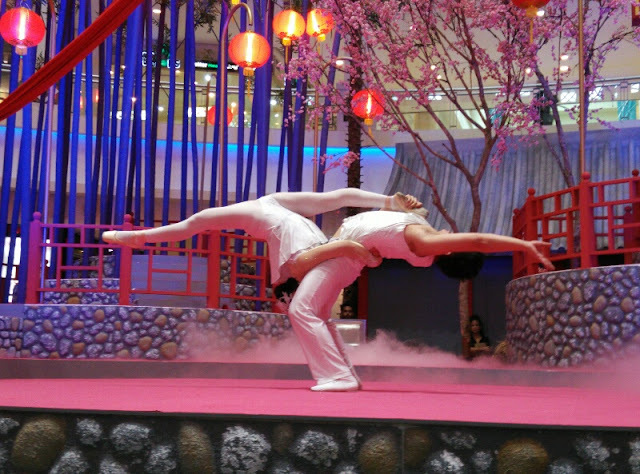 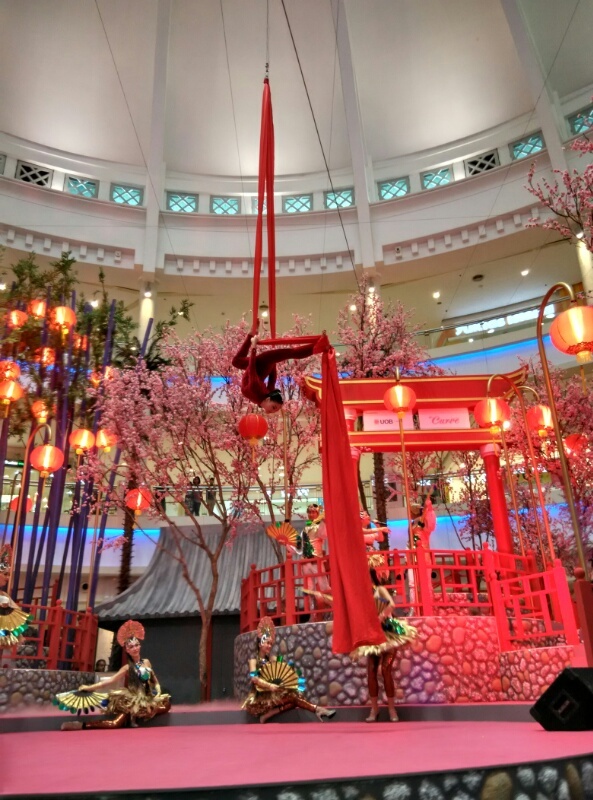 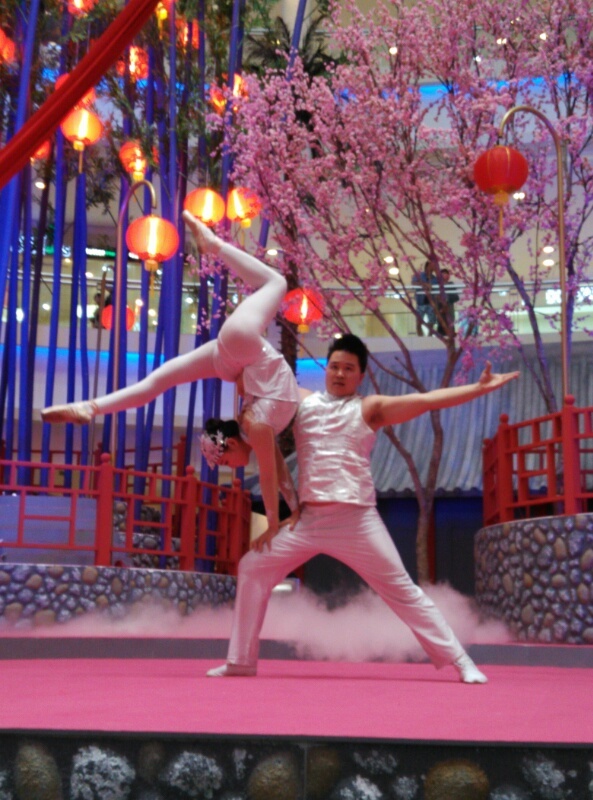 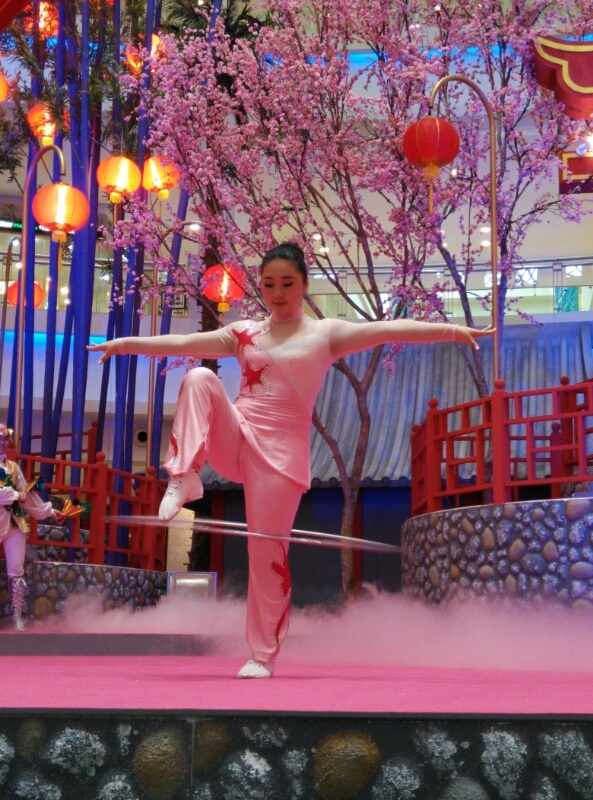 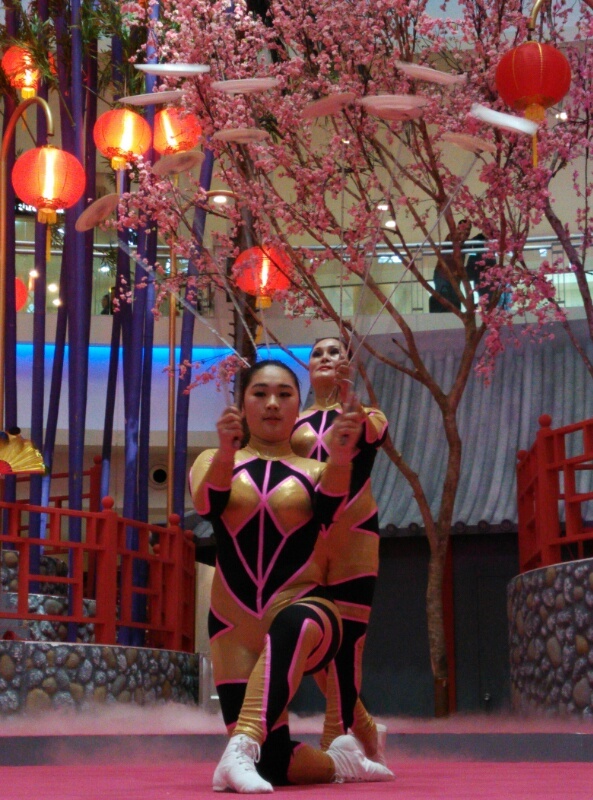 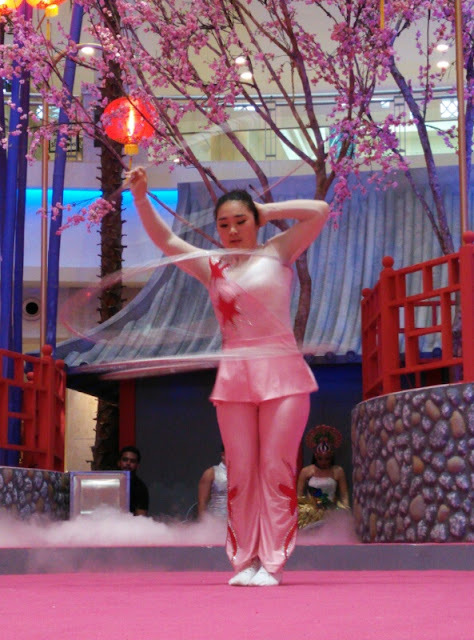 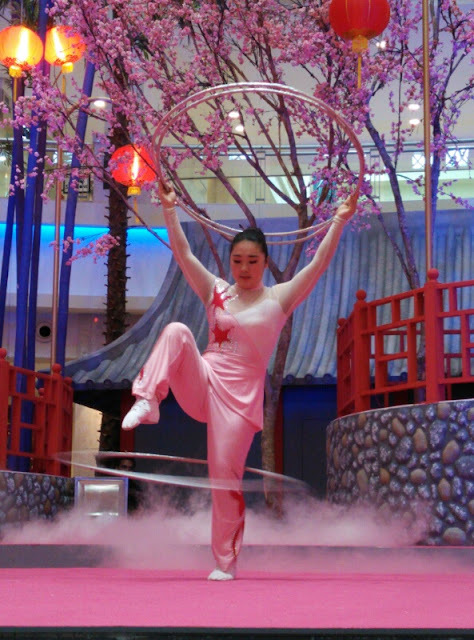 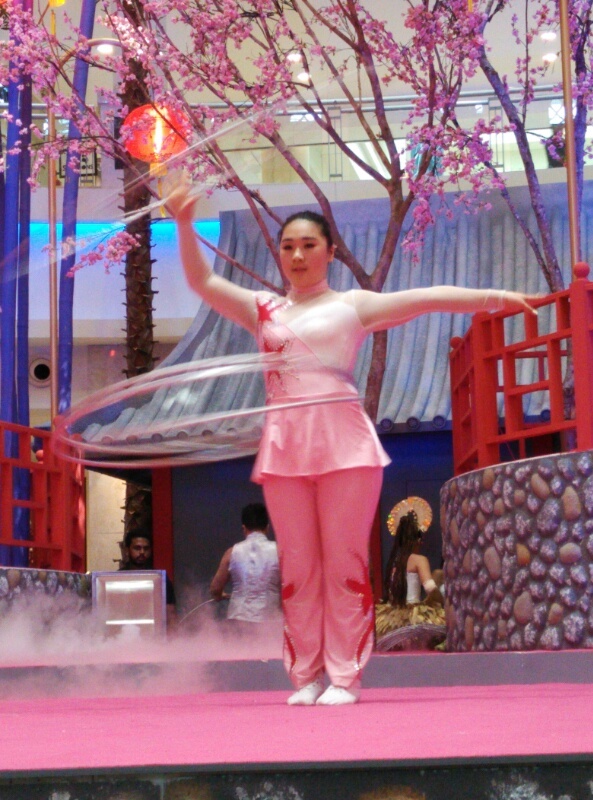 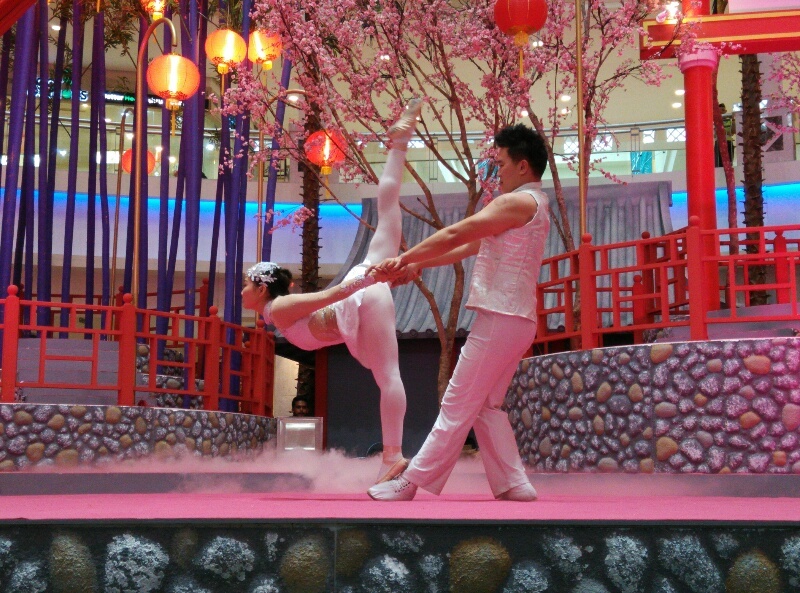 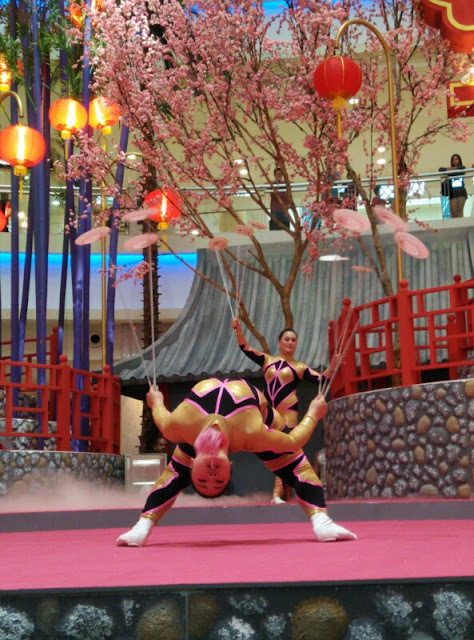 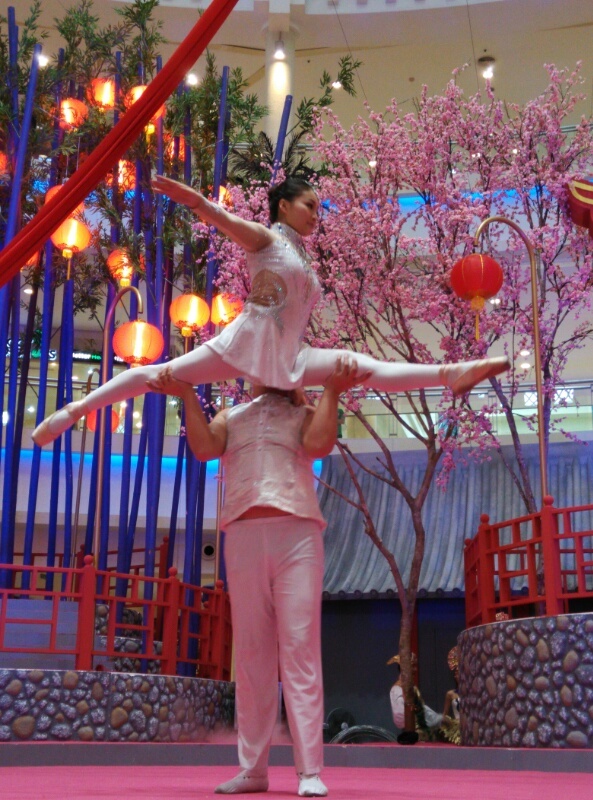 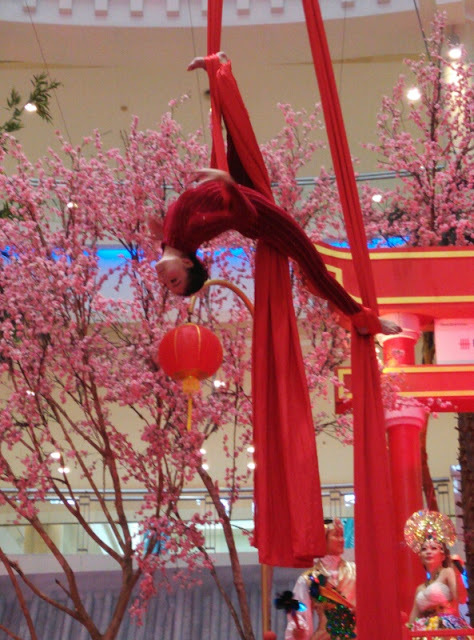 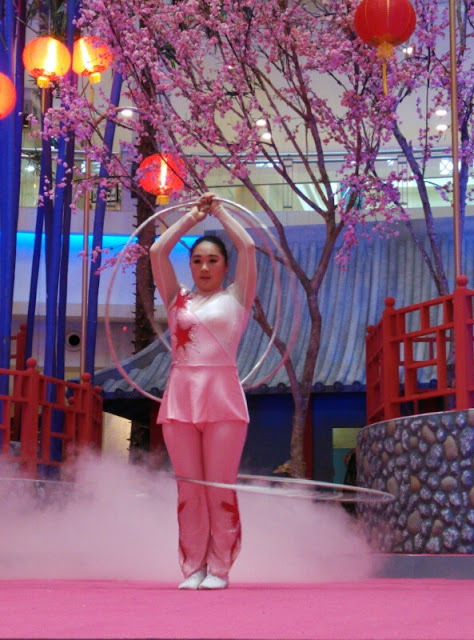 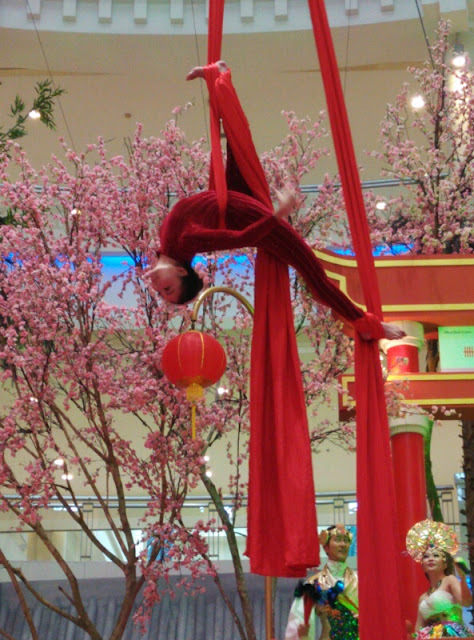 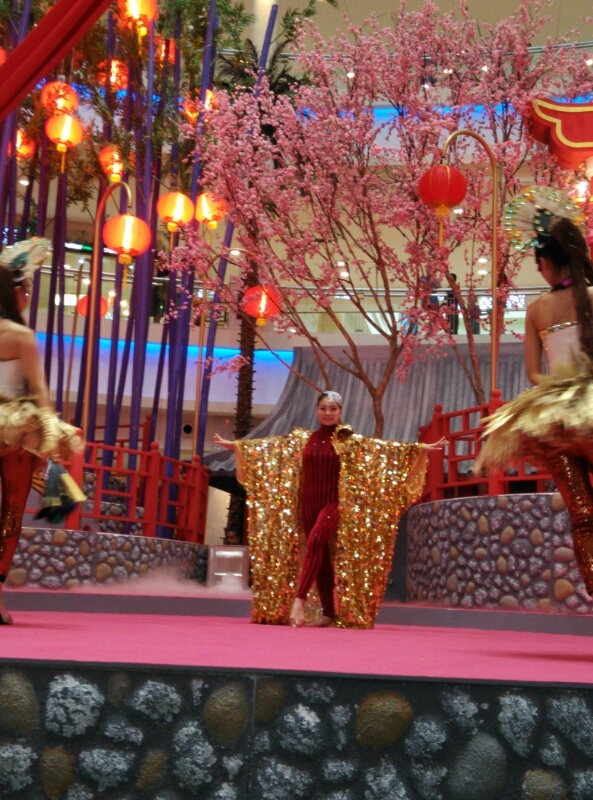 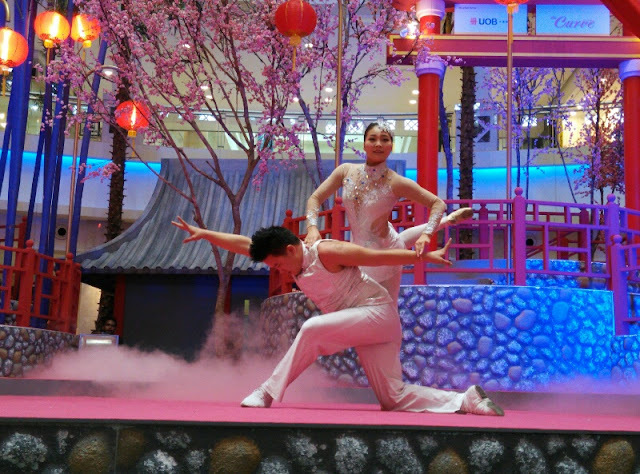 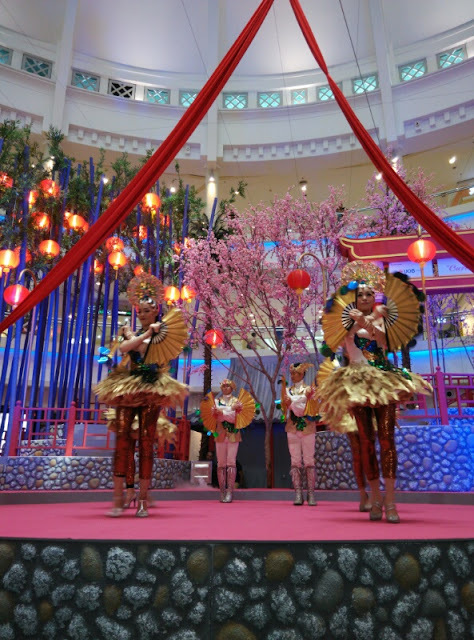 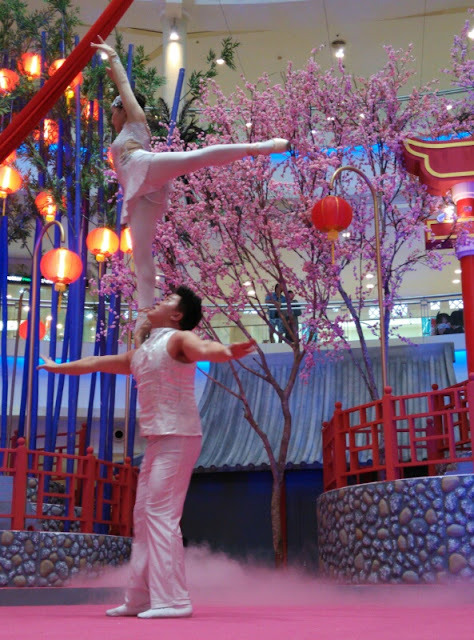 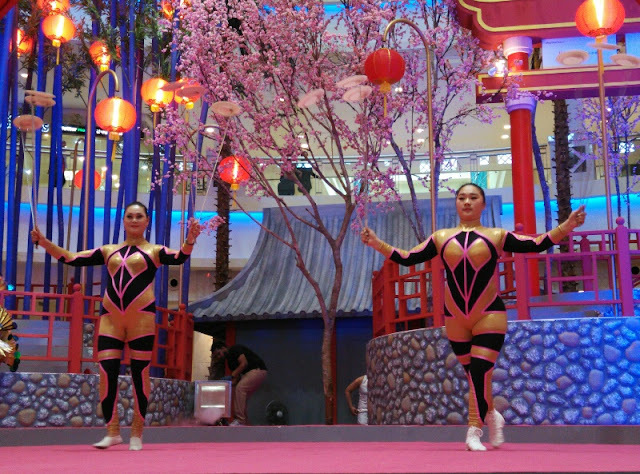 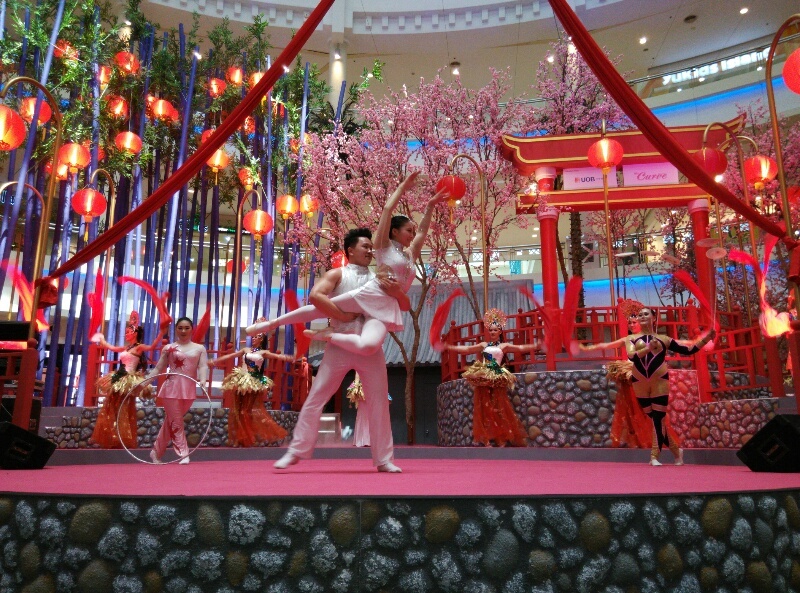 Wow such a great acrobatic shows at The Curve, I am going there next week. 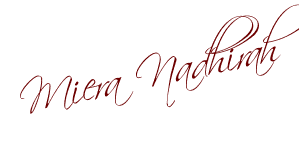 I miss it out. 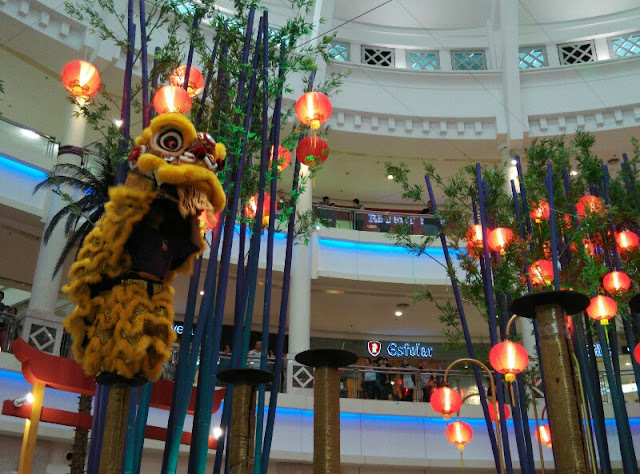 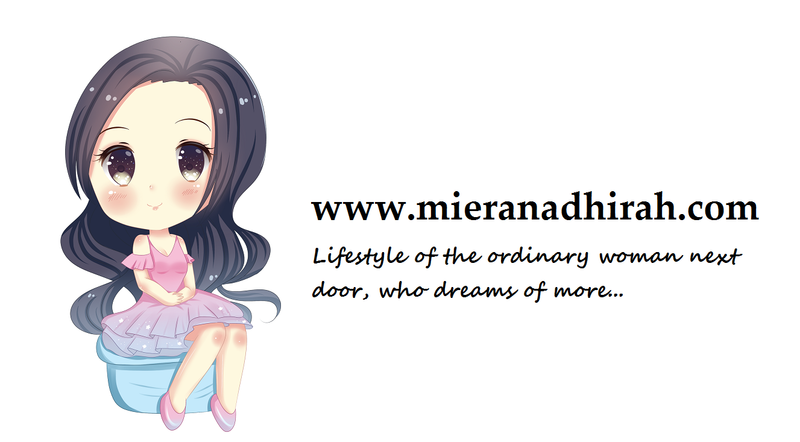 Should bring my Little Angels there coz' they love to watch lion dance.